Seventeen-year-old Evgenia Medvedeva, who won gold with a record-setting free skate at the European Figure Skating Championships last month, is an irresistible magnet to her many fans worldwide. There's always room for a little more, the star told RT. 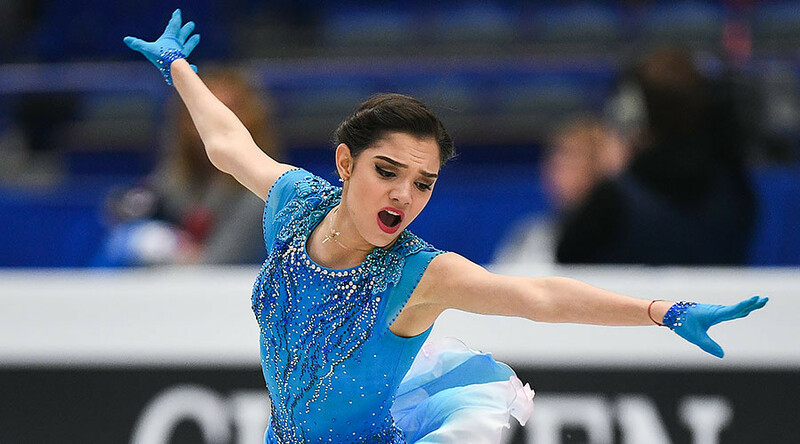 Medvedeva, a Moscow native, oozes movie-star charisma and megawatt star power. Her free program at the European Figure Skating Championships in Ostrava, Czech Republic proved to be unbeatable. Medvedeva earned 150.79 points, surpassing the mark she set last year, and a total of 229.71, beating the record of South Korea’s Yuna Kim. Skating to the soundtrack from “Extremely Loud and Incredibly Close” by Alexandre Desplat, Medvedeva preformed an impeccable triple Lutz, followed by a triple loop and triple flip. The 2016 World champion, and two-time European champion, says in sports, you often have to overcome challenges and your own weaknesses. Commenting on the extra elements she added during the performance, Medvedeva said that many thought it was just a stunt. “There’s still potential. I can’t tell you the exact score I’m capable of getting, but I can do better with some elements. I can make my program even more challenging,” she added. Medvedeva says a skater’s main strength is the ability to work hard in any situation. After her performances, the teen often feels empty inside. Medevedeva is a multitasker. Doing well in sports and school is a challenge. Her coach, Eteri Tutberidze, whose former student Yulia Lipnitskaya won an Olympic gold in Sochi in 2014, is a role model for Evgenia.